1970 Road Runner Air Grabber Switch Dash Location. 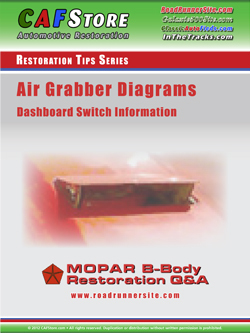 This document includes measurements to locate the position of the Air Grabber dashboard switch. Bleed Your Brakes Yourself. 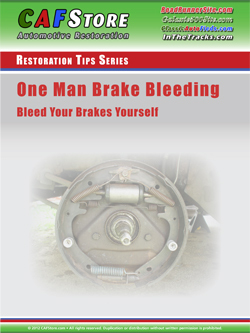 This one-man brake bleeding guide includes instructions for you to bleed your brakes yourself. Included are tips that also apply to two-person brake bleeding as well.